The landlocked state of Missouri is closely associated with water due to the large rivers within its borders, the Missouri and the Mississippi. Also known as the Show Me State, borders eight other states and covers nearly 69,000 square miles. It is the place where the ice cream cone and iced tea were introduced to the world during the World's Fair of 1904, where a tornado decimated the town of Annapolis in 1925, killing 825 people, and where the live music entertainment center of Branson welcomes 65,000 visitors a year. The name Missouri is of Native American derivation, a word that meant "those with the dug out canoe." Several tribes took advantage of the natural abundance of the Missouri area, including fishing and hunting in the woodlands and rivers. Tribes of the Mississippian culture had inhabited the area for centuries, leaving behind mounds of earth that held political and religious meaning to them. These tribes were concentrated near present-day St. Louis and across the river in Cahokia, Illinois. The first European settlement was erected by French Canadians at St. Genevieve around 1750, and more established St. Louis in 1764 as a fur trading center. In 1804 the city of St. Charles was the departure point for the famous Lewis and Clark expedition up the Missouri River to explore the new lands of the Louisiana Purchase and seek a passage to the Pacific. The Missouri Compromise allowed the state to join the Union as a slave owning state. Southerners moved to the bottomlands of the Missouri River to start plantations using slave labor, but Mormons moved into northern portions of the state and soon the two factions disputed the right to slavery, culminating in the Mormon War of 1838. The Governor of Missouri put an end to it with an "Extermination Order" that allowed the settlers with slaves to roust the Mormons and take over their land. The state's ambivalent relationship with slavery continued into the Civil War, when it was divided over declaring secession and joining the Confederacy. In 1861 a Union officer stationed at Camp Jackson believed that army regulars had plans to raid the armory and supply secessionists, so he had troops round them up, an incident called the St. Louis Massacre that turned violent and resulted in more than 100 killed. Ultimately Missouri stayed with the Union. Settled for its rich farmland, Missouri still ranks high among agricultural states, including third in soybean production and seventh in beef cattle. These days many of the top 20 employers in Missouri are in the health care field, but the top private employer is Viasystems Group, a circuit board manufacturer in St. Louis that employs almost 15,000. The beer maker, Anheuser-Busch, is 12th in the list of top employers with about 5,000 jobs. WalMart employs nearly 21,000 in the state and Boeing employs about 15,000. Starting with the first French fur traders, then slaves, then German and Irish immigrants, the state has grown steadily to about 9 million residents. The population is 83 percent Caucasian, more than 11 percent African American and about 4 percent Latino or Hispanic. About 88 percent of adults have a high school diploma, and 26 percent have a college degree. The median household income is almost $48,000. The state capital of Jefferson City, with 43,000 residents, had one murder or non-negligent homicide in 2014 and 133 violent crimes, including 101 aggravated assaults. Independence with 117,000 residents, had 3 murders and non-negligent homicides as well as 476 violent crimes and 304 aggravated assaults. Kansas City had 478 murders and non-negligent homicides, 5,800 violent crimes and 3,800 aggravated assaults in the same period. The 318,000 residents of St. Louis suffered 5,300 violent crimes, 159 murders and non-negligent homicides, and over 3,300 aggravated assaults that year. 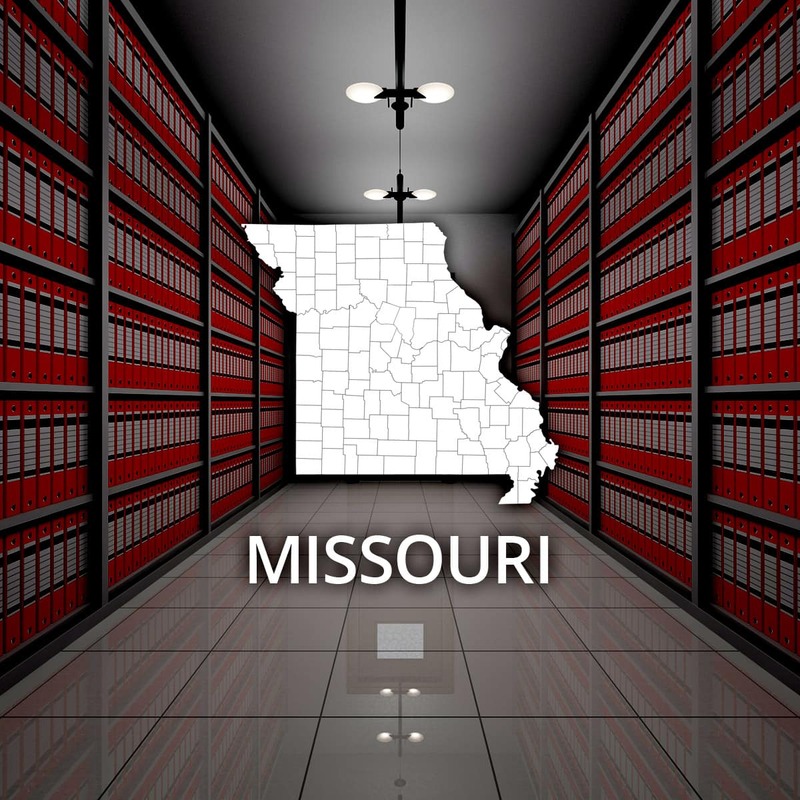 The Missouri State Highway Patrol is the repository for criminal records searches online. Any member of the public may perform a search for criminal records information on another person as long as the applicant can provide the name and birthdate or name and social security number of the individual for whom the information is sought. A fee applies to each search. Similar results may be found by searching on RecordsFinder.com. Court cases may be searched by last name and type (criminal, civil, etc) on RecordsFinder.com. For pending cases, the state website also offers an option for receiving updates on activity on the case, such as future hearings or motions. Local registers of vital records are those responsible for keeping birth records; those interested in obtaining a certified copy should check with the county clerk for the proper location. In order to mail a request to obtain copies of records, it's necessary to download the application and have it stamped by a notary public. As with many other states, many certified records are only released to the individual named or an immediate family member with proper identification. Marriage and death records more than 50 years old are available to any member of the public through the state archives. More recent records may be restricted to immediate family members. Court cases, including probate records, may be searched on RecordsFinder.com or on individual circuit court websites by name or case number.